Chad Ochocinco hosted tonight’s episode of WWE’s Monday Night Raw. Ochocinco and his Cincinnati Bengals suffered a tough loss to the New England Patriots yesterday, but he put it behind him to host Monday Night Raw. Hosted at the US Bank Arena in Cinncy, Chad introduced the event and called himself the best looking guest host. WWE wrestler, the Miz (also known as Mike from Real World New York) fought with the Bengals receiver claiming that the Bengals will never win a Superbowl. 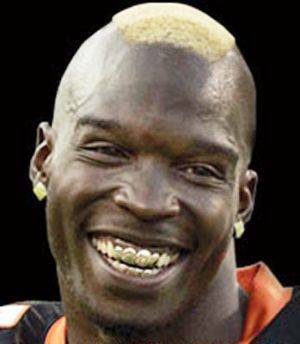 Though I may agree with the Miz… my money is on Ochocinco in this fight, he did take on a horse after all.